Today is a special day. No, not just because it's Friday and the holidays are around the corner (though both those things are great). 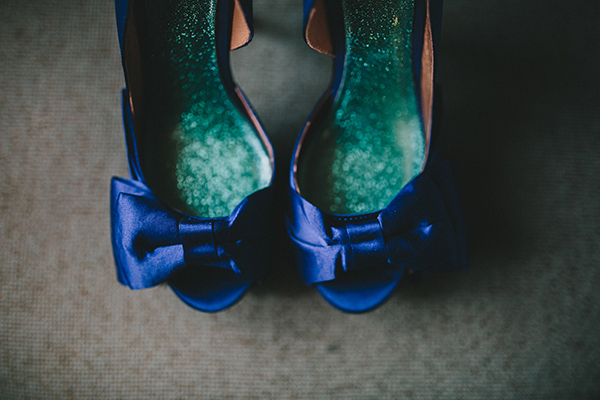 Today is special, because we get to feature the wedding of one of our very own bridal bloggers! 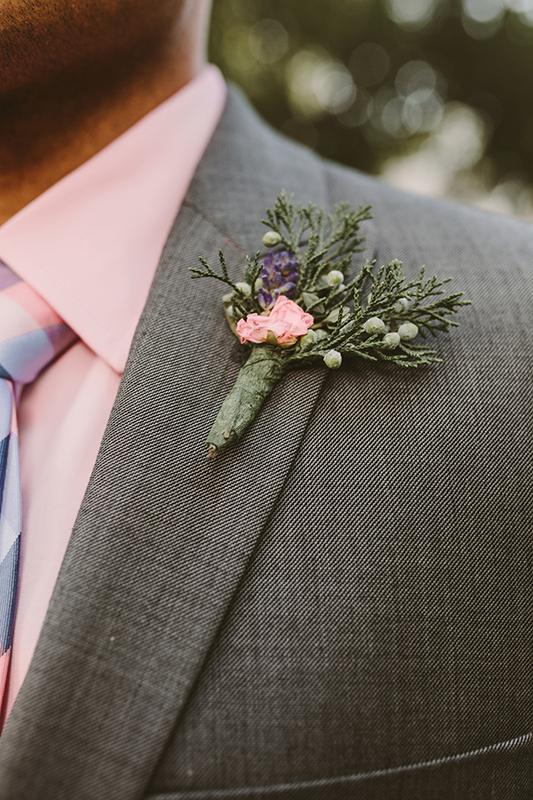 If you've been following along on Wedding Party for the past year or so, chances are you'll have read a wedding planning post by the lovely Kate Swem (and if you haven't, read her tips & tricks now!). 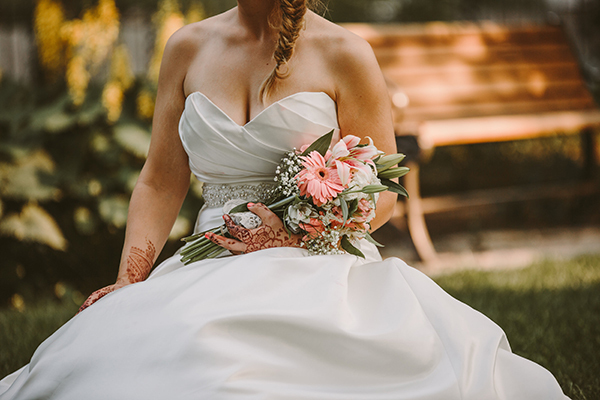 Kate first came to us last fall as a bridal blogger, and it's been amazing to be able to watch her journey from bride-to-be to newlywed! 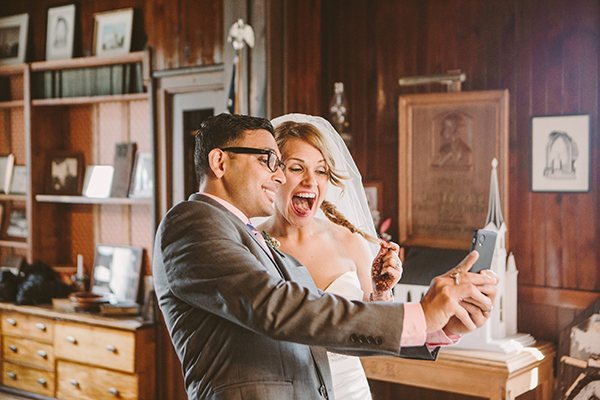 Kate and her now-husband Jeewant were married in the Chicago area, and had a wedding celebration that actually was two days long! 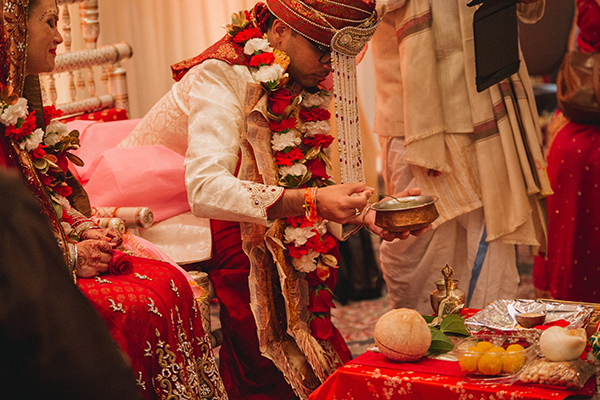 One day for the Indian wedding ceremony, and one day for the Christian wedding ceremony. 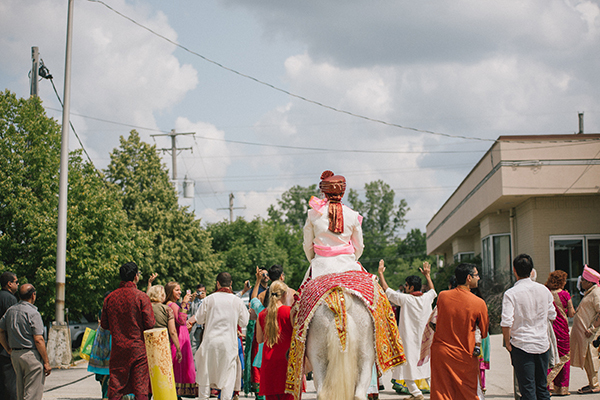 The couple not only honored both their cultures and backgrounds, but also managed to infuse their own fun personalities into the weekend as well. The result? 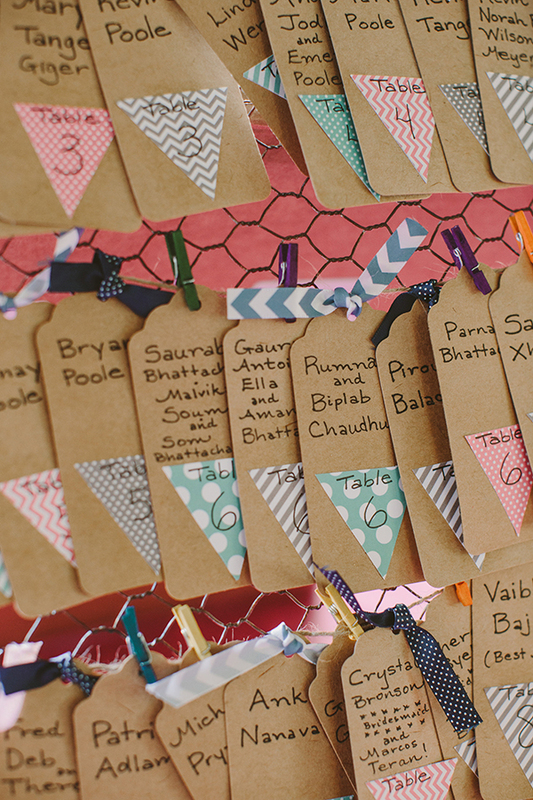 A completely gorgeous but quirky Indian fusion wedding that we can't get enough of. 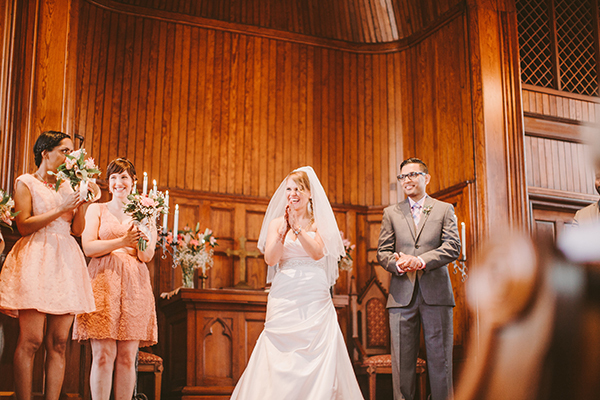 Photographed by the always-talented Megan Saul, Kate and Jeewant's special day is a must-see! 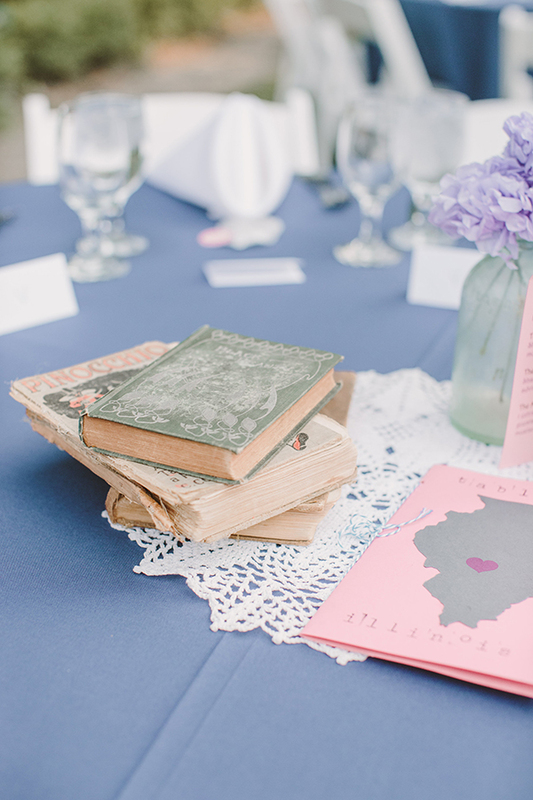 Read on for more prettiness & commentary from Kate herself! 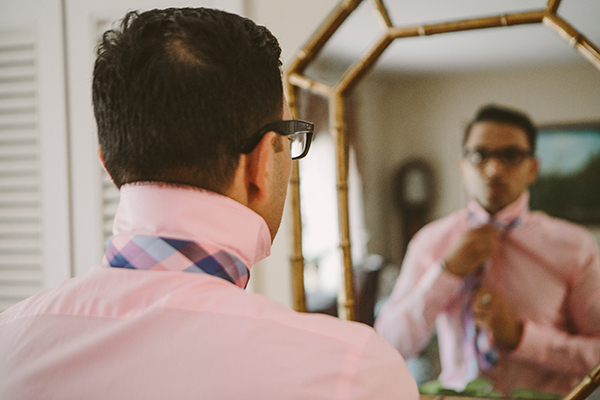 How did you make your wedding unique to you and Jeewant? 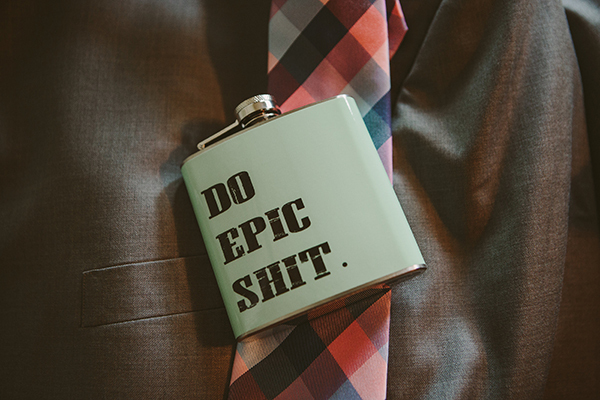 We added quirky touches of us everywhere. 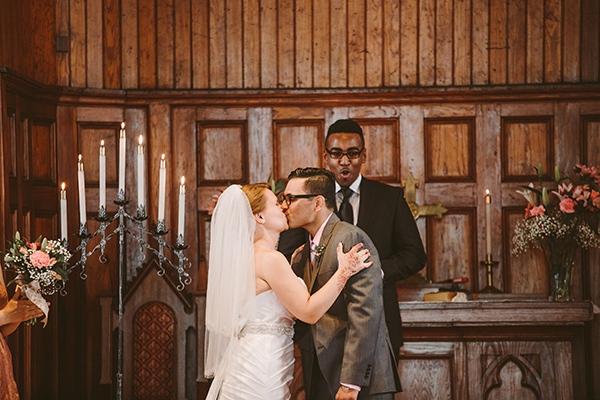 Our ceremony coordinator said we had the most fun ceremony she had seen. 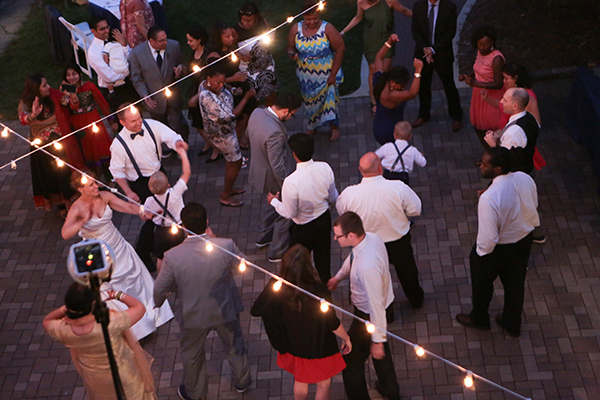 Our processional music was "Happy" by Pharell and recessional was "Best Day of My Life" by American authors. Everyone was moving in their seats and smiling. I also surprised my husband with the ring bearers carrying google emoticon signs. My husband and I gchat non stop and love those silly faces you can plug in. What was your favorite moment(s) of the big day? My husband and I ringing the old church bell together after we got married. Going to dairy queen with the whole bridal party and my family right after the ceremony...wearing a lobster bib and still getting ice cream on my dress. Riding a school bus with the bridal party and then me running across the lawn of our beautiful reception venue in my wedding dress and converse because I was so excited. 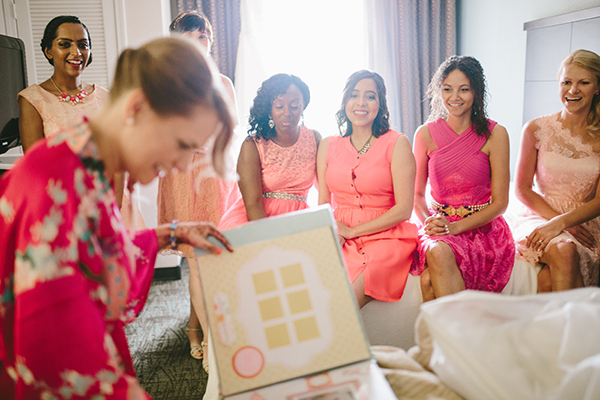 What was one thing that surprised you about your wedding? It goes by at lightening speed and it's hard to keep track of anything. We lost (and found) several items in the hustle and bustle of the day. Try your best to take a deep breath and really enjoy it before it ends! 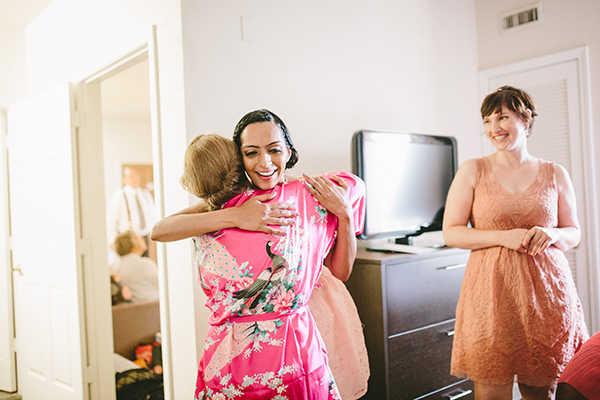 Congrats to Kate and Jeewant -- thank you for sharing your wedding day with us!